Pharmaceutical companies are spending a lot of time and energy on developing a drug that helps with mitochondrial dysfunction which is one of the major causes of the chronic diseases that occur as part of the aging process. They are trying to form a patentable version of a natural compound called lipoic acid because for almost two decades scientists have known that lipoic acid is an effective solution to mitochondrial dysfunction. Clinical trials all over the world show the promise of lipoic acid’s benefits on a wide range of diseases—from diabetes, obesity and cancer to cardiovascular disease and Alzheimer’s and many more chronic degenerative diseases of aging. As a clinician, I have noticed people exposed to toxic mold and suffering from the effects, even though they are still in a toxic environment, are helped tremendously by lipoic acid. This is probably due to it's tremendous liver detoxification abilities as well as its powerful anti- inflammatory effects. 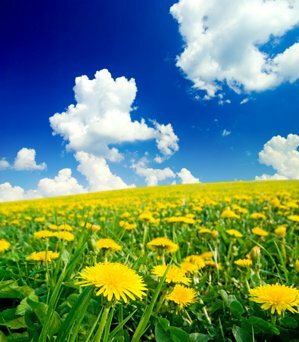 In clinical studies to date with alpha-lipoic acid, there have been no reported serious adverse side effects, even at high doses. Among the mild, reversible side effects found in some patients have been allergic skin reactions and possible hypoglycemia in diabetics. 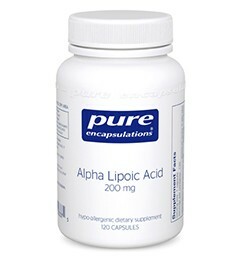 R-lipoic acid provides a more biologically active form of lipoic acid than alpha-lipoic acid at a slightly higher cost, however, virtually all of the published studies of LA supplementation in humans have used Alpha Lipoic acid (which contains about a 50/50 mix of S-Lipoic Acid and R-Lipoic Acid). At present, it is not clear whether R-Lipoic Acid supplements are more effective than Alpha Lipoic Acid supplements in humans. And for that reason, at this time, I recommend Alpha Lipoic Acid instead of R-Lipoic Acid. I think a good dose to take would be 200 mg one to three times daily because most studies have used about 600 mg per day.